Transparency about our financial gains and contributions is at the core of our business. 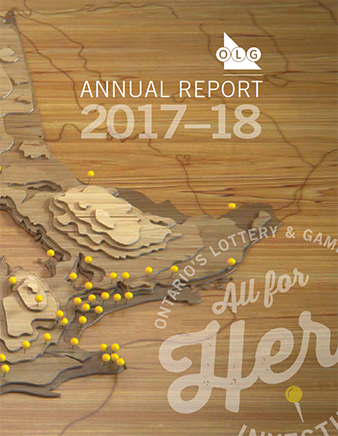 OLG’s net revenue is paid to the Government of Ontario Consolidated Revenue Fund, and also made available to the Ontario Trillium Foundation. Learn about our annual performance. In accordance with the Agencies and Appointments Directive (AAD), business plans have to be publicly posted within 30 days of Minister approval along with the agency’s mandate letter. To ensure compliance with AAD, the 2018 mandate letter from the previous government is being posted with OLG’s 2018-19 Business Plan.